I love this quote for the new year. This is such an odd time of year, some people relish it while others dread it. Whether you’re the former or the latter, we all reflect on the last 365 days and make a vow to be better next year. Those who know me personally will know that my year has been turbulent with high highs and low lows, but I’m a strong believer in karma and fate. I believe that everything is bought into your life for a reason, during hard times you just need to persevere and trust that it will all work out. Everything happens for a reason. I’m ending 2014 1000% happier than I was when I entered the year, having shrugged off a huge weight around my neck and broken free of some pretty persistent shackles. What a difference a year makes. 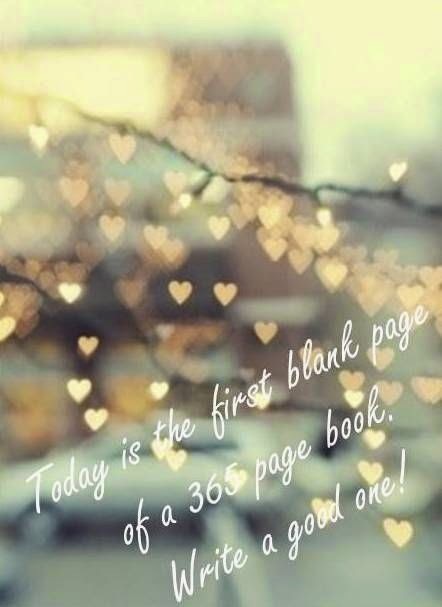 2014 is now ancient history, we’re all opening a new book full of blank pages today. Fill your pages with adventure, love and whatever else tickles your fancy. Take the good with the bad. Stay strong. Stay hungry. Fly by the seat of your pants. Do what makes you happy. Make 2015 yours.